Whether it happened when you were running a 5K or out walking the dog, spraining your ankle can cause significant pain and mobility issues. At Orthopedic Foot & Ankle Institute in Henderson, Nevada, orthopedic surgeon Dr. Roman Sibel diagnoses, treats, and helps prevent sprains. Dr. Sibel provides everything you need to get back on your feet. Call today to schedule your initial consultation or go online to book your appointment. When you sprain a joint, you injure the ligament, a band of connective tissue that connects bones to other bones. In your joints, ligaments stabilize the joint and add support. When they’re sprained, the ligament stretches or even tears in severe cases. Sprains happen when you fall or twist your joint and commonly occur during physical activity. Your most vulnerable joints include your ankles, knees, and wrists. How do you know if you have a sprain? Orthopedic surgeons classify sprain severity into three different grades. Grade 1 sprains include those with mild stretching and damage to your ligament fibers. You may experience slight swelling and bruising, but the joint still feels stable. Grade 2 sprains partially tear your ligament. Swelling and bruising are severe, and you may experience more discomfort. The joint often feels abnormally loose when moved in specific directions. It may hurt to bear weight on your ankle or foot. Grade 3 sprains are the most severe and involve a complete tear of your ligament. These sprains often swell and bruise immediately after injury and are accompanied by severe pain. The joint has insufficient stability and can’t bear weight. In many cases, your sprain feels better after a few days of RICE. When you don’t notice improvement within a week, contact Orthopedic Foot & Ankle Institute. Dr. Sibel may recommend coming to the office for an evaluation to ensure you didn’t fracture a bone. When you have a grade 2 sprain, Dr. Sibel may suggest bracing the joint to stabilize it. He may also recommend physical therapy or give you exercises to practice at home to rebuild the strength in the joint. When your ligament completely tears, Dr. Sibel may opt for surgery. 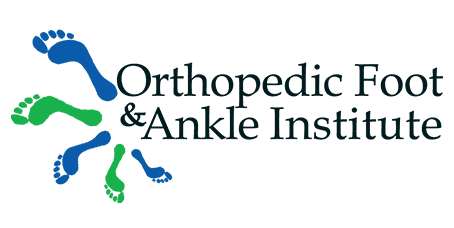 If you think you’ve sprained an ankle, call Orthopedic Foot & Ankle Institute today or go online to schedule your appointment.